As a kid, I read all of the Wizard of Oz books the local library had while I was home from school with the chicken pox. 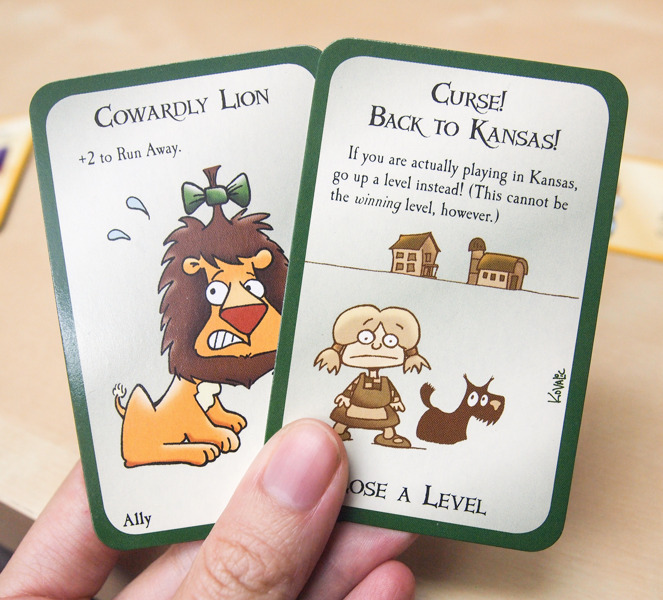 The books have a special place in my heart, so I was excited to play a Wizard of Oz version of Munchkin. Munchkin Oz is a wonderful version of the classic game Munchkin, made with the fans of L. Frank Baum's books in mind. Tons of iconic monsters and characters are quite Oz-some to see. 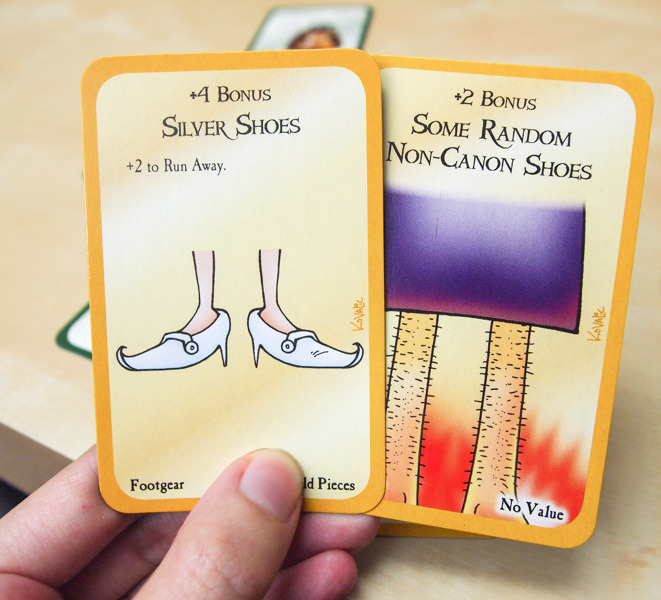 You can loot the body in a normal game of Munchkin, but it is so satisfying stealing while playing a game based around the story of a little girl murdering an old lady and taking her shoes. Looking through Munchkin Oz really was a Throwback Thursday (or #TBT for all the cool kids) for me. You'll really have to be a wiz to catch all the jokes. Even if you have never read the books, the imagery and Oz-ful puns makes the game a delight for everyone!